Setaria is a genus of annual or perennial, C4 grasses; stems usually in tufts. Leaves mostly along stems, various. 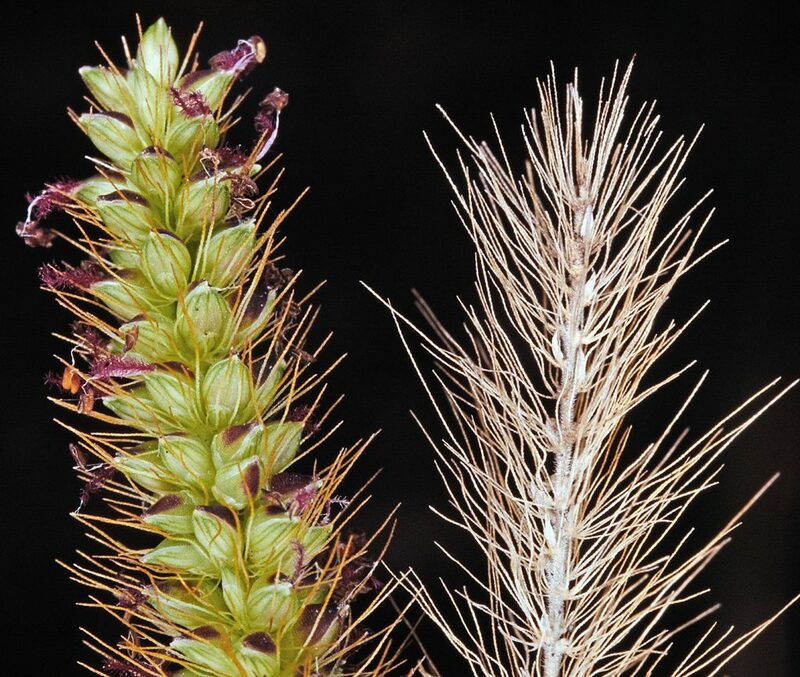 Setaria pumila.floret with bristles.Copyright © by ActaPlantarum 2007-2014.actaplantarum.org (Accessed 4/2016). 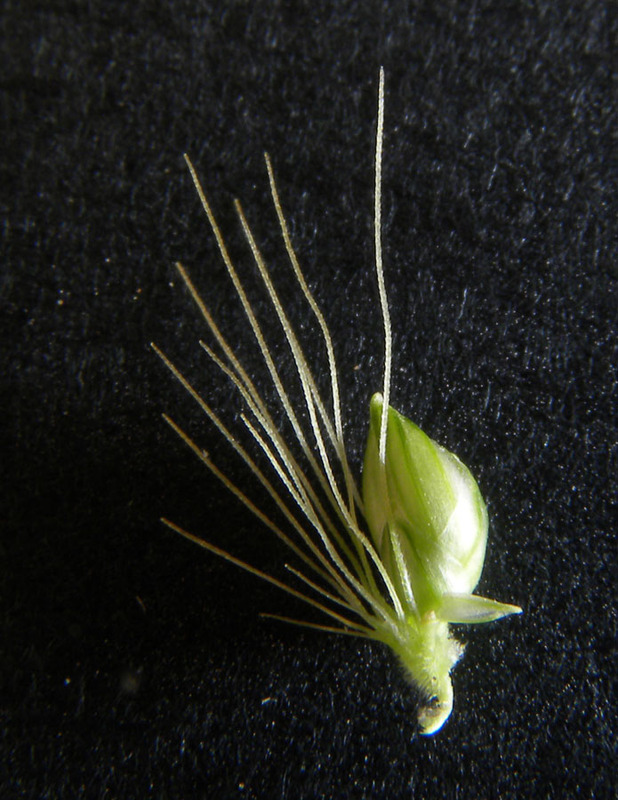 Flower spikelets swollen, shiny, with a single fertile floret, lower floret sterile; outer scale of the fertile floret (lemma) often textured with small wavy ridges (rugulose); each spikelet subtended by 1-numerous bristles, these persistent after spikelet is shed; inflorescence appearing spike-like, but with many very short branches (a dense panicle).